Our company manufactures a wide range of racing steering wheels, all manufactured under the highest standards, and using high quality carbon fibre. 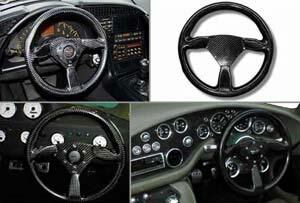 We can also drill the steering wheels at your demand to a custom pattern. All of our racing steering wheels are autoclaved to ensure that you will receive the best quality racing steering wheel.